Go ahead: dream big. Big. Big. BIG. But don’t get wrapped up in the details of how, that’s for the universe to figure out. It’s not your job to know. 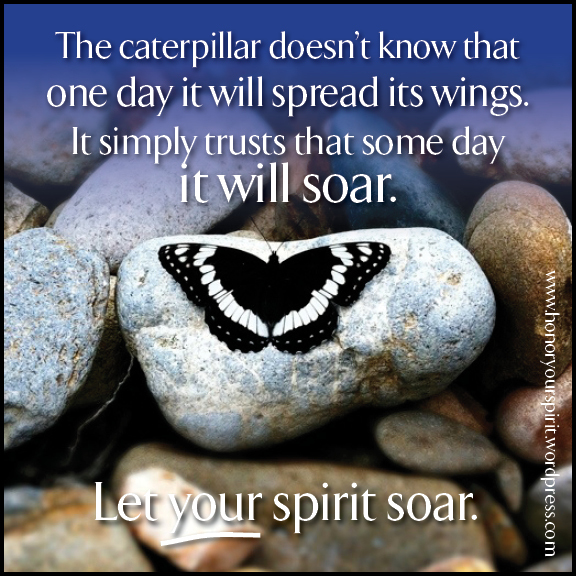 When you identify those things in your life that you want, allow your spirit some breathing room. Trust that the universe is on your side and will help you meet your goals. Have faith that all you need to be successful will come to you. Once the request has been made, turn your concentration back to how good it’s going to feel when you meet your goals. Let go. Catch a tailwind. Enjoy the view and let your spirit soar. Did you ever play spinning contests as a child? The kind where you close your eyes, spin around as fast as you can for a minute or so, then open your eyes and see if you can walk in a straight line? If you have, then you remember how hard it is to slow momentum and keep your composure. You usually stumble around half sick, half laughing and end up falling to the ground. As a child, playing with physical momentum can be a fun game. As an adult, we often plague ourselves with a different kind of momentum, that of unconscious emotional and mental momentum. And as an adult, it’s no fun at all. I saw this in action recently with a co-worker. Steve came into my office looking rather flustered and proceeded to unload his feelings about a high-level meeting he had just attended. He was mad at the world, finding fault with every policy, person and action he could name in a few moments. The energy in my office became tense and swirled with negativity. After I finally shooed him out of my office, I felt a calmness float down on my workspace and returned to my project. But a few minutes later, Steve was back with more things to complain about. I watched, now with interest, how his thoughts and emotions were gaining momentum and propelling him toward something big. To even the untrained eye, he had reached a point of no return. His anger at the world was reaching a fevered pitch and he was bound to explode or collapse. Thankfully, neither happened and Steve decided to go home early for the day. What happened to Steve happens to all of us and I’ve noticed it happening a lot more frequently. It’s easy to blame these types of incidences on the economy but that seems to be the scapegoat for a lot of people with out-of-control emotions and thought patterns. As the economy has slowed, people have been feeling more and more powerless in their work world, forced to put up with more stress, more work and less fun. The economy aside, a lot of folks are feeling new stresses on their lives. Technology, politics, time (or more specifically, the lack of time), relationships, and money are all big stress-inducers for many people and when they go unchecked, they can build stress to an unmanageable level. The most discouraging thing about getting caught in negative emotional and mental momentum is that we usually don’t realize we’re caught in it in the first place. Without realizing, we continue on the same path, gaining more and more momentum until we finally crash head first into some kind of brick wall. That wall shows up as a health challenge, emotional outburst, a broken relationship or the loss of a job. When we finally hit the wall, we suddenly see that the path we’ve been on is less than desirable. How do you slow the momentum of negative emotional and mental constructions? This should be obvious but for most of us, it’s not. To slow down or even to change direction, you must first become aware that the path you’re on is not leading you to the right place. You’ve got to wake up from your unconscious behavior and unconscious thinking and see yourself from a different angle. Like someone snapping their fingers in front of your face or waiving smelling salts under your nose, you need to change your focus to the present moment. Becoming aware of your thoughts and emotions won’t automatically change them, but it will alert your conscious mind that a change is needed. The earlier you catch negative momentum building, the easier it is to slow it down and turn it around. But even if you’re charging full steam ahead into the abyss, it’s imperative to catch yourself in the act. If you feel yourself being taken over by your emotions, see if you can view yourself as a friend would. What would you tell him or her? Please note that I’m not talking about an emotional outburst that may be justified. It’s best to allow your emotions to run through your system than to try and stop them. But many times we’ve fallen into the trap of repeated negative emotions and we’re simply adding to the heap of negativity that’s already there. If you’re experiencing recurring emotions and circumstances, it may be a sign that you need to try a different approach. Becoming conscious alerts you that you’re on a path that doesn’t feel right. You may not know exactly where you want to go at this stage, but you’ve already identified that you want something different. When you acknowledge where you are in this present moment, you honor that part of you that has been screaming for attention. The negative, hurtful or destructive emotions you’ve been caught up in can now be gently acknowledged and patted on the head. They’ve served their purpose: to get your attention. Now, it’s time to consciously choose a new direction for yourself. 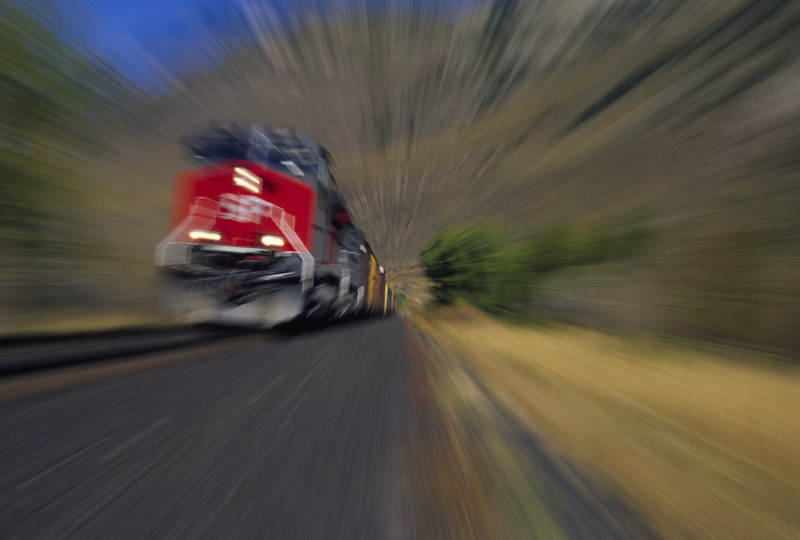 Slowing down a train from 100 to 20 miles per hour takes a bit of energy. So does changing your thoughts. This stage of the process is the most important in slowing momentum, as a change in thoughts is a signal to yourself and the universe that you intend to do something different. The actual new thought isn’t as important as the fact that you’re willing to change your thoughts. Get creative and try some on for size. You’re not trying to be Pollyanna or convince yourself of something that isn’t true, but you can identify some general thoughts or emotions that may help shift down your gears. I like knowing I’m employed. I’m glad I have people that will listen to me when I’m overwhelmed. If I take a walk, I can clear my head for a few minutes. I can choose to think about this later when my emotions are calm. There were some good things that happened to me today, such as _______. Again, the important part of this step is to make an effort to think a different thought. In effect, you’re distracting yourself from the fast train you were on and you’re giving yourself some time to orient yourself toward your new goals. Even a slight change in direction can help you see a new possible direction. Becoming conscious, acknowledging where you are and choosing new thoughts are the start of a wonderful new journey. By taking the time to perform these steps, you take energy away from the negative thoughts and emotions and allow law of attraction to start finding new, positive ones in their place. If, however, you find that train speeding toward your hopes and dreams, ride it all the way to the end. Positive momentum feels good to the ego and the conscious mind. And do a few spinning circles, just for fun.